Tuesday marks the start of the new snooker season as we embark on the first ranking event qualifiers; the Wuxi Classic, a new Chinese ranking event whose qualifiers are held in Sheffield before the main event takes place at the end of June, under the watchful eye of Eurosport. This also marks the start of Snookerbacker Classic Champion and Q-School Qualifier Martin O’Donnell’s professional career as he takes on another friend of the blog David Grace from Leeds at 2.30pm. It also sees a first for the tour in that four amateur players, being those who were highest on the list of frame winners from Q-School and were available, are competing in a Main Tour event. They are Fraser Patrick, Duane Jones, Adrian Gunnell and Michael Wild who each replace non-entrants John Higgins and Ronnie O’Sullivan, the retired Stephen Hendry and the currently suspended Joe Jogia. It also marks the beginning of the betting year and hopefully we’ll have another successful one. The blog is in partnership this time round with Apollobet, who are fast becoming THE snooker bookmaker with their plethora of markets on even the smaller events. I have personal contacts there for anyone that would like to ask them anything, it’s fair to say they are definitely ‘snooker people’ and I’m sure they would welcome any suggestions for betting markets on the baize. So my advice to anyone that hasn’t got an account with them yet is to open one, as they will be providing free bet prizes throughout the season for us as well as enhancing recommended bets and where possible going industry-best price on recommended wagers. You can open an account with them here and take advantage of their opening free bet offer to blog readers. So here we go with the first write up of what promises to be a long season ahead, early on there will be a lot of unknowns and it’s always interesting to see how new names adapt to the rigours of the tour. I’d like to wish The MOD, Sean O’Sullivan and SB Classic entrants from last season Craig Steadman and Michael Wasley in particular the very best of luck as they embark on their journeys here. The Thai player whose second name sounds like a disappointed Scotsman takes on Q-School qualifier Robbie ‘No not that one’ Williams. Un-Nooh was a professional for two seasons but didn’t do enough to stay on last time, yet if you look at his record he actually won more pro matches than he lost, including wins over the likes of Peter Lines, Rod Lawler and Angles McManus. 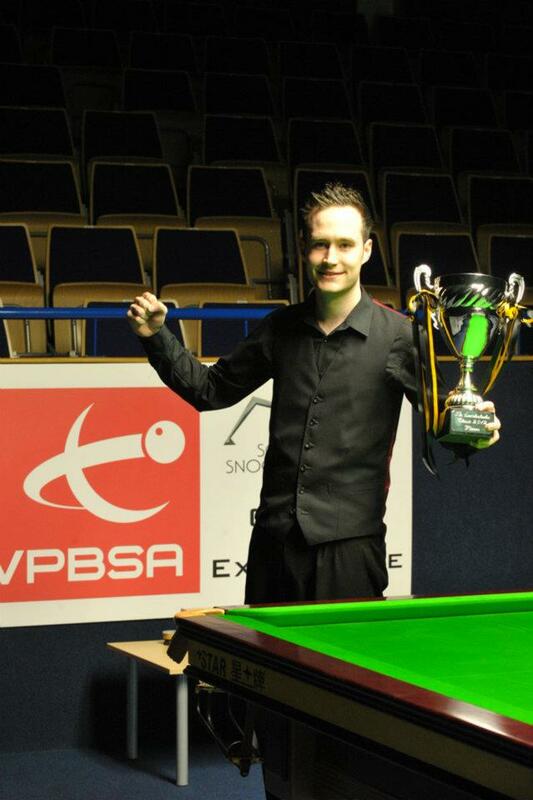 Robbie was a PTC regular last season and no doubt the experience he gained there helped him in Q-School, he managed wins in those against Ali Carter, Peter Ebdon and Ricky Walden amongst others so is clearly a player that can’t be taken lightly. Sam Baird roared through Q-School 1 without dropping a frame and was really beginning to get going at the back end of last season, unfortunately for him a little late in the day. He faces the dangerous Indian player Aditya Mehta who fell off the tour last time but retained the Indian nomination as their clear number one, based on recent form and the fact that Sam will be sharp from Q-School I would side with him to edge this one. Chen Zhe is another Q-School graduate who I have heard very positive things about and he faces Pankaj Advani, a former International Billiards and Snooker Federation World Billiards and World Snooker Champion, the only player ever to achieve this. I know very little about him as a player however so it would be wrong to suggest a bet with a great deal of confidence, but the Chinese player will be fresh and has been tipped up by a few in the know as one to watch. I’m going to go against the grain here and say that I think World Snooker were wrong to award a wildcard place on the tour this year to Tony Drago, he didn’t earn it as of right and there are far more worthy causes out there in my opinion, but Drago remains Box Office and was apparently pestering World Snooker about it incessantly before they confirmed it so you can’t fault his dedication to the game. He is also a player I very rarely back for or against these days as he is wildly unpredictable and the run he had a season and a half ago of consistently beating inferior players is now a distant memory, he’s also a player that leaves chances and Q-School graduate Sean O’Sullivan could have had a tougher first opponent in his professional career debut than Maltese Tony, he will get chances, it’s just whether he takes them that counts. Luca Brecel beat Daniel Wells 5-1 in their only meeting to date in the German Masters qualifiers last season but Wells has to be admired for getting through Q-School after an horrendous run of results last year. Luca is fresh from his Crucible success and is clearly a player with a future if he sticks at it which I’m sure he will, he’s still got to prove that he isn’t a flash in the pan after a dream ride to the World Championship, he did however appear to be finding his feet just before that and may have too much for Wells but it’s not a match I’d bet on. Iran’s Hossein Vafaei Ayouri has had two outings in the pro game, both as wildcards in Chinese events, being beaten 5-1 and 5-2 by Fergal O’Brien and Mark King respectively, he faces amateur Fraser Patrick, a former professional from Scotland who performed consistently at Q-School without winning, again that is a match that I can’t recommend a bet on as I know too little about both of them. Predicted Winners: Williams, Baird, Zhe, Drago, Brecel, Patrick. This afternoon sees the return to the professional ranks of the exquisitely named Thanawat Tirapongpaiboon (‘shake shake shake the room’ – sorry old habits die hard) to face Q-School qualifier Ian Burns who is another that has gained experience through attending the PTC’s last season regularly, in fact he played in all the UK based ones and one in Europe last season. I haven’t seen Ian play so it’s difficult to comment but I was very impressed by TT in his only year as a professional to date even though he is what I describe as a ‘pattern player’ in that he wins matches in chunks and loses them in chunks in equal measure. He’s got a lot of talent though and assuming he’s up for this he’ll do well in a few things this season I reckon and bomb in others, he’s still only very young so has plenty of time. Mighty Mouse Zhang Anda is back on the main tour after a year away and faces Q-School graduate Rod Lawler (it’s like he’s never been away), again Scouser Rod’s recent exploits at Q-School may be the difference in this one and I’d fancy him quite strongly to win there and dictate the pace of the match. Tian Pengfei gained one of the Chinese nominations this year after failing to retain his tour card despite some nice performances last season, he faces Welsh amateur Duane Jones who is a tidy player for sure, but Tian will expect to come through with a bit in hand in that one and so do I. Then comes Martin O’Donnell’s debut, David Grace was beginning to post some decent results at the back end of last season and The MOD will do well to beat him, but he’ll not be low on confidence so it’s possible. Adrian Gunnell, now an amateur after being professional since 1999, faces a player from Australia named Ben Judge who I will admit to knowing next to nothing about, apart from the fact that he has not really faced anyone in Gunnell’s league in his career that I can see so far, there is a huge You Tube video of him playing James Mifsud if anyone is that interested, but I think Adrian will be quietly confident of progressing after three solid weeks of preparation at this venue, albeit an ultimately disappointing period. Predicted Winners: Thanawat, Lawler, Pengfei, Grace, Gunnell. It's a big day for Wazza. The evening session sees the EBSA Under 21 Champion, Scotland’s Michael Leslie taking on Paul Davison, the York player who returns to the tour at first time of asking via Q-School. 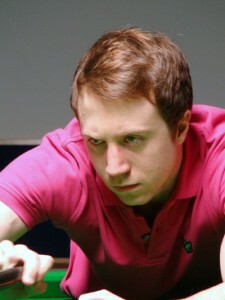 Surprisingly Leslie only played in four PTC events last season, losing every match he played including a 4-0 loss to The MOD, it could be a tough first season for him this and I feel the experienced journeyman Davison will have a bit too much in the locker for the promising youngster who has been warned by none other than John Higgins what to expect here. Liam Highfield retained his professional status by the skin of his teeth through the PTC Order of Merit system where he bagged the final spot, he faces Michael Wasley, the Gloucester professional fresh from Q-School, Liam is far from a prolific winner at this stage and I fancy Wasley might just cause an upset here if he can hold his nerve on what is a huge day for him. Returning professional Jamie O’Neill faces the Norwegian Londoner Kurt Maflin who I know has many fans on here at this stage of events, he remains however a very frustrating player to bet on, he can produce huge breaks on the spin and win matches in the blink of an eye, but if he’s having an off-day he’s pretty poor to be truthful. A watching brief on that one as O’Neill is not a player to take lightly and will be sharper than his opponent given his World Championship and Q-School exploits recently and he isn’t short on experience. Craig Steadman is another that benefitted from the PTC Order of Merit and was the only amateur player last season to gain qualification to the Main Tour via this route, he faces amateur Michael Wild who is another player I don’t know that much about so I will leave that one alone. Finally, Crucible Last 16 player Cao Yupeng faces young Q-School Graduate Joel Walker who came through the final event last week winning eight frames on the spin to book his main tour place. Joel is clearly a player with bags of potential but he literally could not have had a worse draw, for me Yupeng is the strongest player competing in this round so I fear a baptism of fire for the youngster on his professional debut. Predicted Winners: Davison, Wasley, O’Neill, Steadman, Yupeng. Recommended Multiple Bet: 5 x 1 point fourfolds and a 1 point Acca on Zhe, Lawler, Gunnell, Davison and Yupeng where the accumulator pays an Enhanced 11/4 at Apollobet. CLICK HERE to view all their match prices. 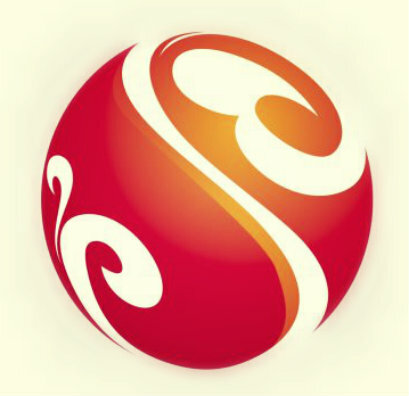 To open an account with the season-long partner of the blog Apollobet, who are the only bookmaker that offers extensive markets on all matches in all tournaments click here.